Skin the thighs by simply pulling it off. You may need to cut in a few places. Then cut it up, reserving all the fat, fry it a bit and give it to the dogs in their kibble for dinner. They will be deliriously happy and you will feel like a righteous human. I added tomato paste to the sauce to thicken it a bit. I use home-grown tomatoes, that are frozen.They tend to be a bit ‘thinner’ than commercial, canned Roma tomatoes. Use it or not. 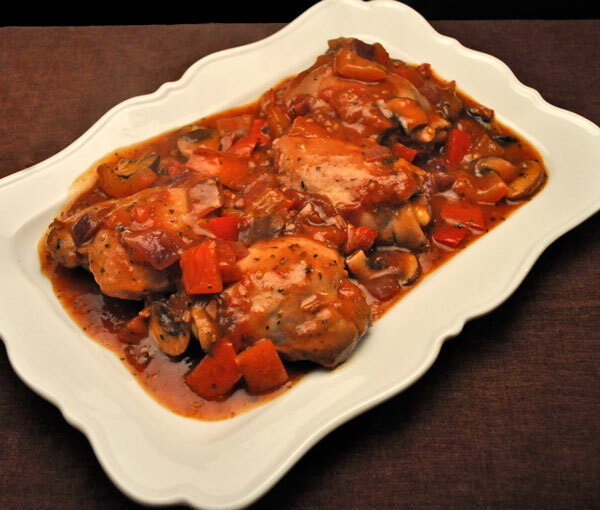 Add mushrooms, onion, pepper, garlic, paprika, and sauté 5 minutes longer. Add tomatoes, wine, oregano, tomato paste, and stir to combine. Turn the thighs once or twice to coat with sauce. 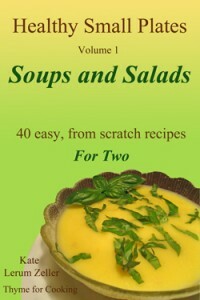 Serve from skillet or remove to a small platter, with sauce. When we lived in Andorra we spent a lot of time in Barcelona – long weekend visits and day trips. 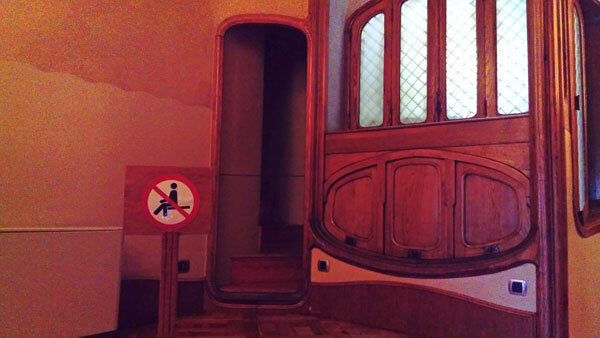 I never went into the 2 Gaudi houses: Casa Batlló and Casa Milà. As it turns out, there was a good reason I missed them – they didn’t open to the public until after we moved. On return trips we just re-visited our favorite places and never thought to look for anything newly opened. 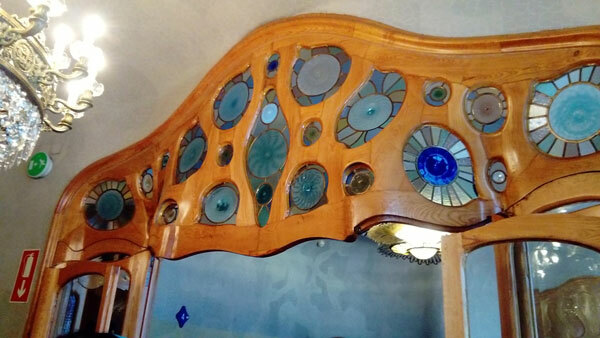 We toured Casa Batlló on this trip. Yes, there was a line to get in….. 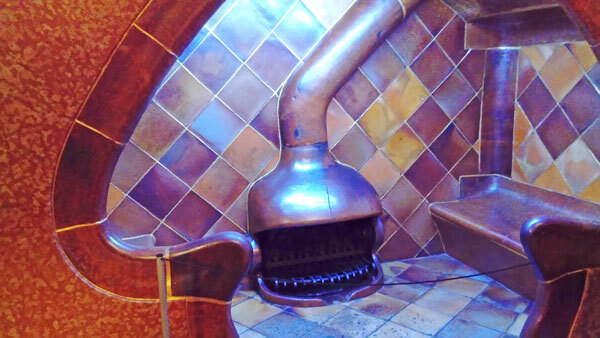 I loved this fireplace – especially the built-in seat on the side. The rope across the front kept me from trying it out. Everything in the house is curved. Note the door frame for the spiral staircase – also roped off. This is the upper door frame separating 2 sitting rooms. The double doors open for one big room when needed. As many of you know, I don’t like too many photos in any one post – whether they are food or Gaudi. 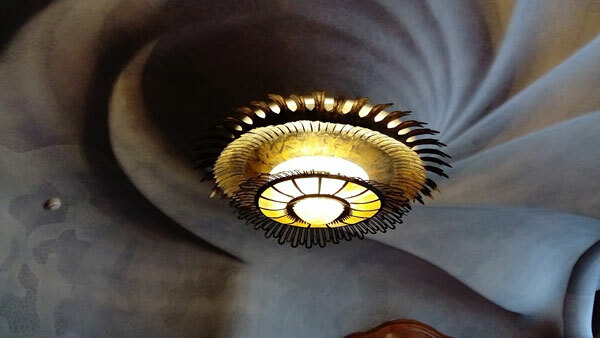 If you would like more info: this Antoni Gaudí page provides visitors with Gaudí’s bio, works for sale, and exclusive articles, as well as up-to-date Gaudí exhibition listings. Fascinating house! It seems you fixed the pop-up problem so I can read in peace. Thank you! I would get dizzy in that house! But it’s very interesting. 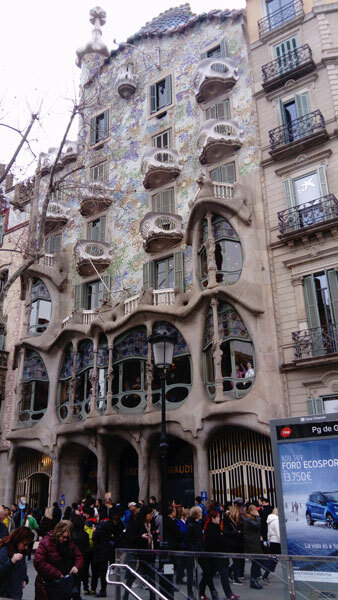 Are not the the Gaudi houses the most wonderful places ? I knew nothing about Gaudi would you believe till about two years ago….Australia is isolated or maybe I was !!!!! They are all wonderful – and the park and the church and and lol He defines Barcelona!